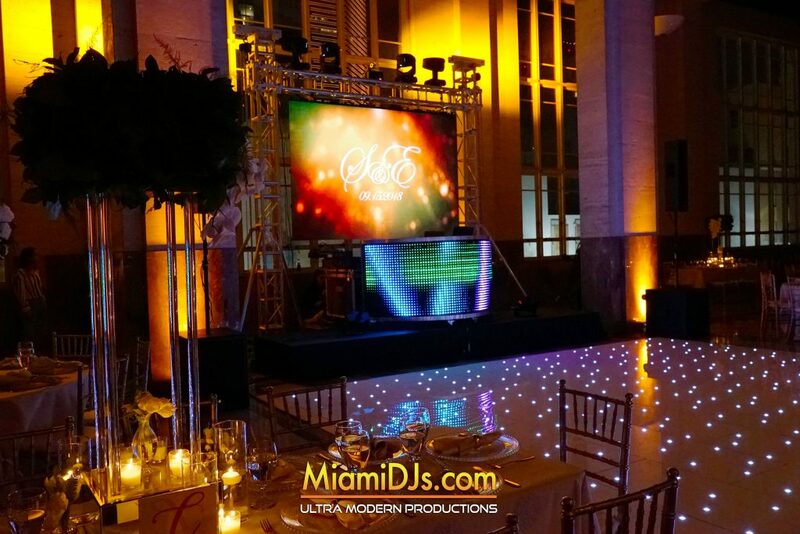 Miami DJs specializes in Ultra Modern Productions while featuring the World’s Best Wedding & Club DJs. We merge the latest technology in sound & lighting to create a spectacle that will immerse you into an atmosphere unlike any wedding you’ve experienced before. 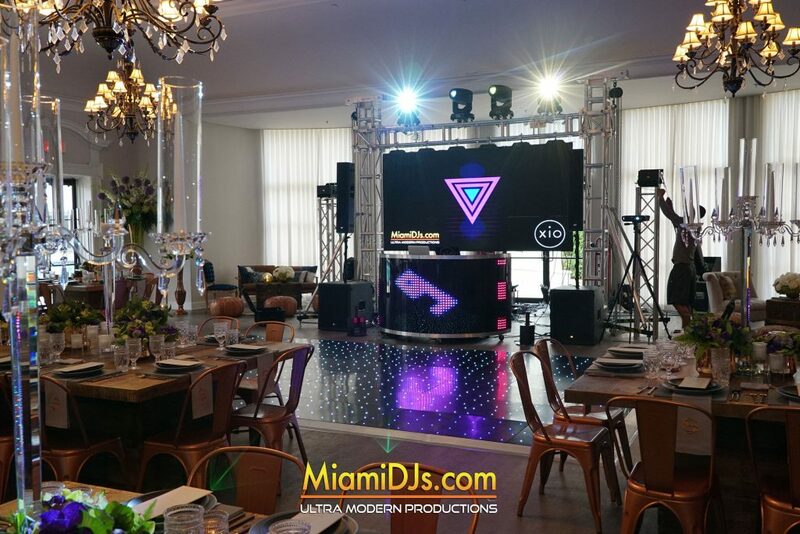 Through our numerous innovations in sound and lighting technology, we are able to setup compact and powerful sound systems for as many guests as your venue can accommodate. Our wireless battery powered uplights can seamlessly change colors at our command or in synchronization with the music. Our Dual View DJ Touch Screens are a spectacle to behold and are guaranteed to wow all of our your guests. We pride ourselves in managing some of the best DJ talent in the world. 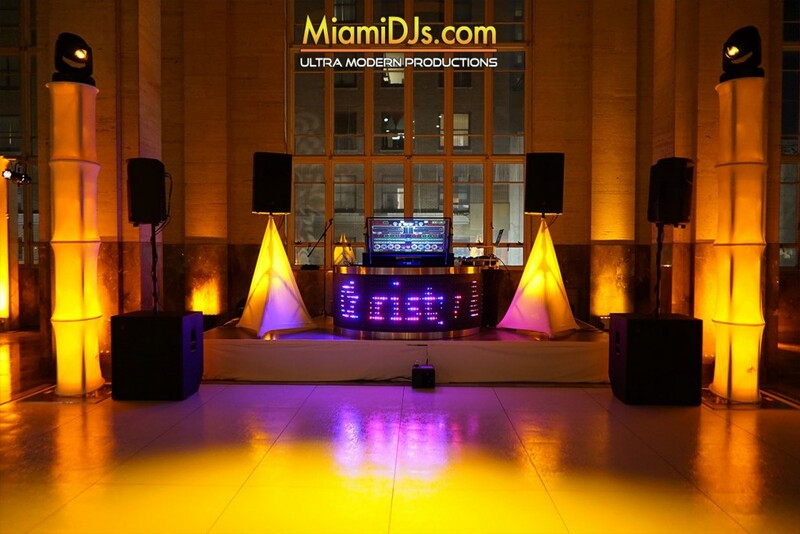 Our DJs are some of the most respected and knowledgeable Wedding DJs in the entire industry. Known worldwide for their musical talents, professionalism and expertise; we guarantee you the wedding of a lifetime. 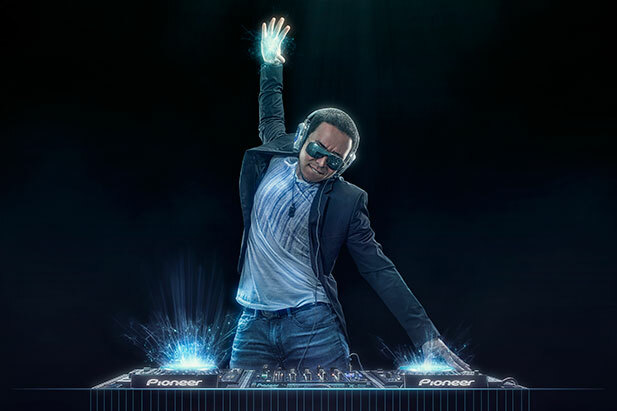 Our Very own DJ Xio, was recently ranked within the Top 37 Wedding DJs in America by Billboard. We will go out of our way to make your wedding, what it should be; the most memorable and unforgettable moment of your life, a once in a lifetime event that requires careful and diligent attention by the most qualified professionals in the industry. 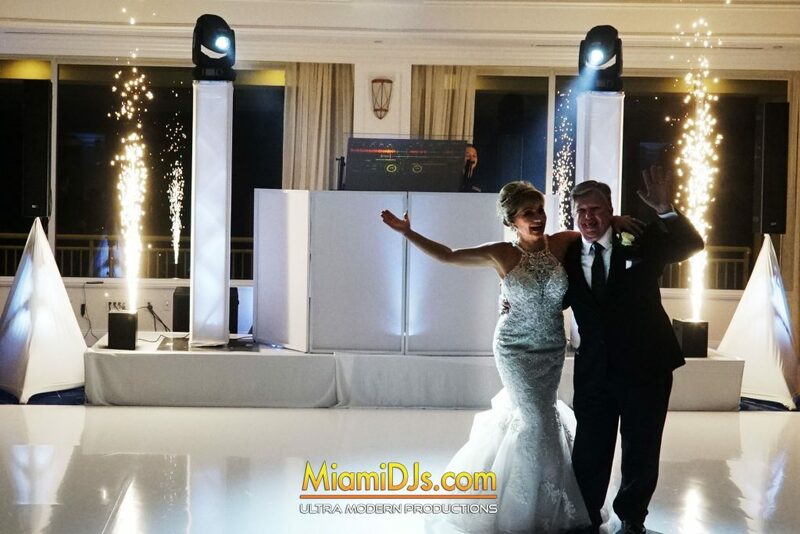 From our pristine quality sound systems to our delightful light shows and incredible music selection, your wedding is a beautiful success waiting to happen. 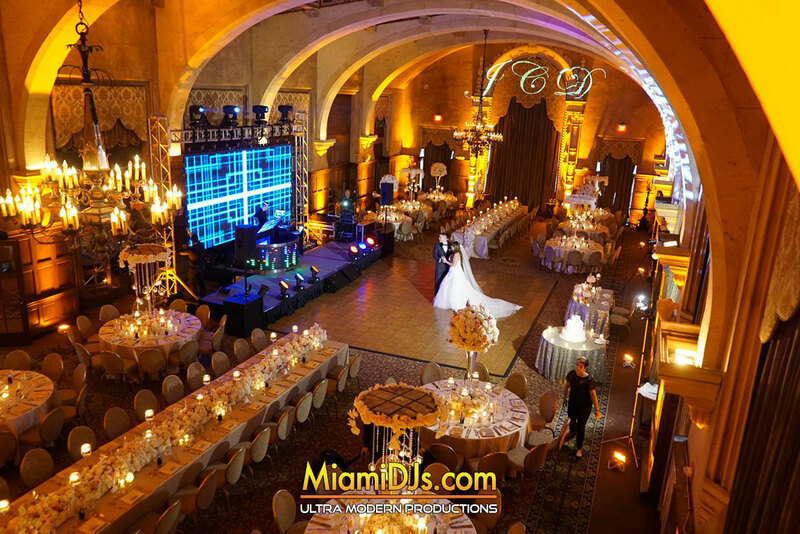 Call us at 786.333.6757 and allow our event specialists assist you in making the wedding of your dreams a magical reality. Call us at 786-333-6757 to setup a complimentary consultation! 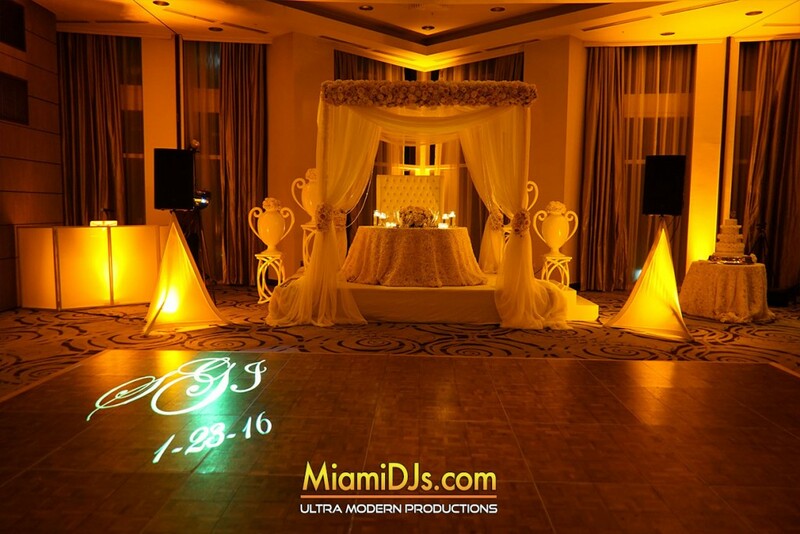 Over 100 Brides have mades us the #1 Wedding DJ company in Miami!